Garlic (Allium sativum) medicinal herb is a native of southwest Siberia and southern Europe and it is referred to as the pain reducing herb. It has been used both as food and medicine in many cultures for thousands of years, dating as far back as the time the Giza pyramids were built. It is still grown in Egypt, but the Syrian variety is the type that is most esteemed now (see Rawlinson's Herodotus, 2125). The bulb is the most commonly used part of this medicinal plant. A member of the lily family, it is possibly the most popular medicinal and culinary herb in the world's kitchens. Although it originates from Central Asia, it has been cultivated worldwide for millennia. It owes much of its popularity in Europe to the Benedictine monks who grew it in their monastery gardens. The common names are Lashan, Rasonam, Lashuna, Veluthulli, Ugragandha, Mlecchagandha, Camphor of the poor, Poor man's treacle, Allium sativum, Rust treacle, Nectar of the gods, Stinking rose, Clove garlic and Lesan. The Greek historian Herodotus reported that large amounts of Allium sativum, radishes and onions were consumed by construction workers in the Egyptian pyramids. It is nature's amazing nutritional and medical wonder. Whether sliced, diced, crushed or ground, the medical benefits of it is far reaching and it requires no refrigeration. The benefits of garlic medicinal herb are so numerous, it would be impossible to name them all in this content. Some uses include, prevention of clotting of blood and flatulence, development of digestion, and prevention of cerebral aging. 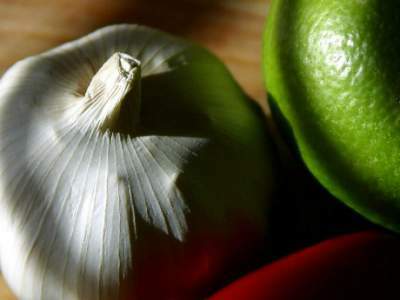 Should you get carsick or seasick, taking garlic before visiting can easily prevent you from feeling nauseated and from vomiting caused by movement sickness. This very popular kitchen spice comes compact with a lot of facts that seem to amaze people every day, including myself. How many of us knew that one clove is quadruple times stronger when it is crushed through a garlic press than when it is cut into small pieces with a knife? Not many I suppose and in addition to this fact, the well known historian, Pliny recorded more than sixty medicinal uses for this herb. It is one of my favorite medicinal herbs. I use it very often in my cooking, as a tea and a poultice to any spot on my skin, especially acne, scrofulous sores and ringworm as well for aches and pains. I remembered having an earache, and my mom told me to put a small clove in a piece of cheese cloth and stuffed my ear with it when retiring at bedtime. I woke up the next morning, painless until today. This medicinal herb gives great relief to an earache. This is my personal testimony. It is known to have antibacterial, antiviral and anti-fungal activity. It is also said to help prevent heart disease (including atherosclerosis, high cholesterol and high blood pressure) and cancer prevention and control of the common cold, a remedy for infection, and it enhances immune response. It is used for sciatica, paralysis, hyperglycemia treatments, leukemia treatments, neuralgic pains and so much more. 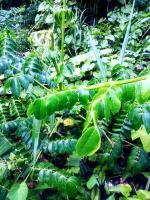 The oil extracted from it is good for ear infection, diabetes and heart disease. 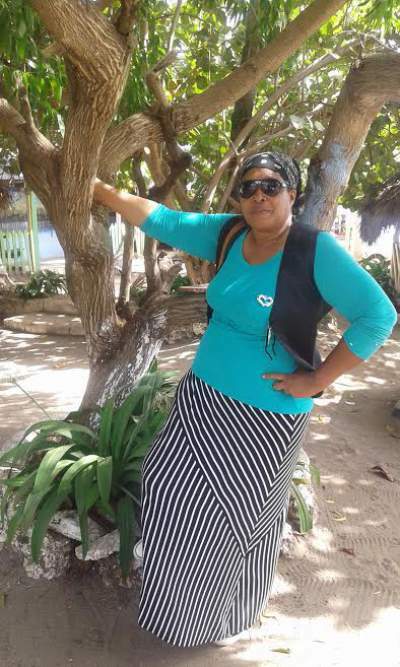 Some of its many benefits include curing a cold, curing warts, stopping fainting spells, improves circulation, will grow hair, strengthen the body as well as alleviating high blood pressure. 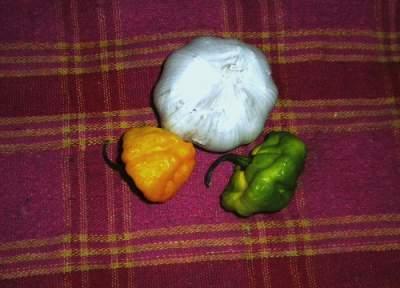 It is very commonly used in Jamaica to treat high blood pressure or hypertension. In regards to pimples, rub the pimples two times daily with the herb until they disappear. 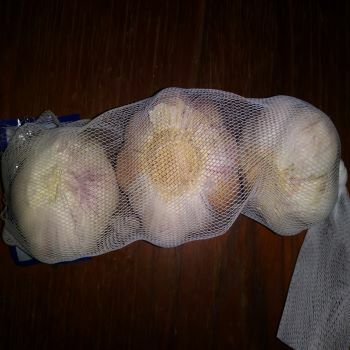 Ringworm will be removed from the skin when garlic is grated and placed on the affected skin. For toothaches, take a clove and a little rock salt put on the affected tooth will not only relieve the pain but may also stop it. Through the centuries there are certain myths that are attached to it and there are individuals who actually believe such stories. I have a friend who sleeps with the herb to ward off ghosts and he firmly believes that it is really keeping the ghosts away. It is also said that vampires fear this medicinal herb so much that they run away from it. Sometimes it is featured in various vampire movies. Old time Egyptians see it as a god, so they offer up prayers and worship to it. Their belief is that it has the ability to remedy every sickness and that it will be able to foretell fertility. Old time Indians also believed that garlic can retrieve the souls of human beings. These are simply myths. However the real facts in regards to this plant is that there are those who thought of it in a better light, inclusive of the Greeks as well as athletes in the Olympic arenas who utilized it to elevate and boost their energy, strength and vigor. This medicinal herb also boasts a popularity that reaches near and far, in history as well as currently, in culinary and gourmet cooks, in alternative medicine amongst the herbalist and users. From those who suffer high cholesterol to those who suffer sleeplessness, from the common flu to the common cold, it is the "wonder drug" to many individuals. It has been enacted as an advocate which decreases cholesterol and triglycerides in the blood. The essential oil is very beneficial in treating rheumatic and arthritic pains. Use ten ounces of the minced herb with six ounces of warm olive oil. Make sure that the olive oil covers the minced herb. Allow this mixture to stand for three days, then strain through a cotton material and bottle this liniment to use at your convenience. Two drops of this liniment on a piece of cotton and stuffed in the ear is good for ear inflammation. The oil can also be used to treat athlete's foot by washing the feet in hot water then rinse and dry. After this procedure rub in the oil two times per day until the athlete's foot is healed. Due to the high odor of this medicinal herb, some people refuse from eating it. Some of them detest the very taste of it. Therefore, the supplements were manufactured for these people. These supplements are done in powders, capsules, as well as tablets forms. If this is your choice make sure that you check the label for allicin, which is the ingredient that is released when a clove is crushed. This is the primary element that makes it such a powerful health medicine. However for me, I will still use the cloves as they are more natural and I do not mind the odor and I love the taste of it. I love the garlic tea as well. I just pour boiling water on two cloves, let it stand for few minutes and consume. You can also read garlic water for added information.